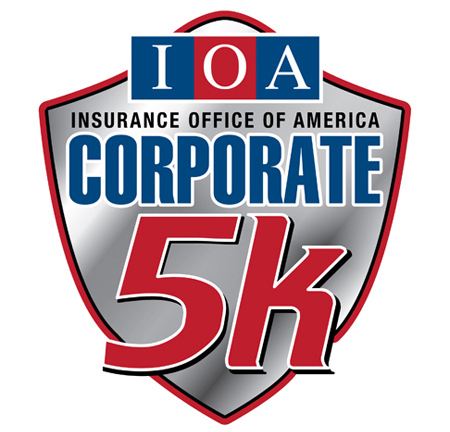 The IOA Corporate 5k is on April 18, 2019, that's six and a half months away! But if you are like Sarah Colandreo, it's never too early to register and start building your team. Sarah Colandreo (SC) with Ability Rehabilitation, a veteran Team Captain, was the first of 700 organizations to register her team for the 25th annual event. Sarah shared her planning strategy with us. TSE: How long has your team participated? SC: This coming corporate 5K will be our 6th consecutive year participating. TSE: How do you encourage participation? Ability Rehabilitation is a physical therapy and occupational company that prides ourselves on being one big family. Our company has grown over the years but we still place importance on team building and community service. We are advocates for health and so many employees are excited to participate in this healthy team event every year. We have shirts and food, and the company pays for employees registration which is a nice benefit. TSE: Why did you register your team this early? Registered as soon as I saw the email...honestly because I am a type A person and just wanted it done and on the calendar. Also, I can start motivating all of our clinics to put it on their calendar and encourage participation company-wide. TSE: Have you attended the team captain’s kickoff party in the past? If yes, why would you recommend other team captains to attend? I have attended the Captain's even the past few years. I would recommend all captains go as it is a fun event to get organized and get motivated for the IOA Corporate 5k. It is nice to meet other captains and network as well. Invitations to the team captain's kickoff party will go out via email on December 12th!